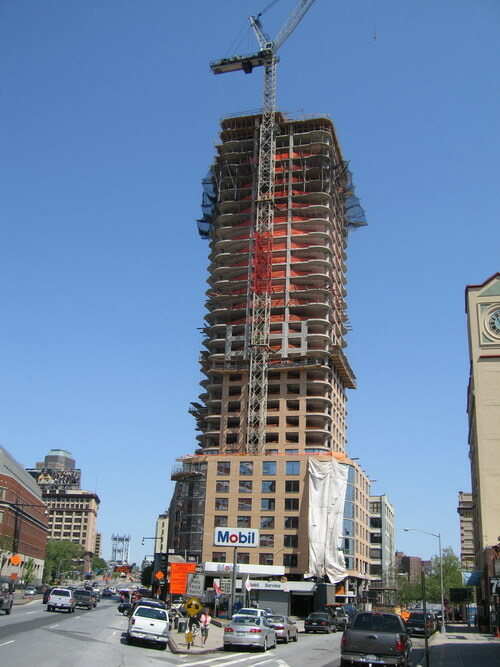 The quite tall Oro Condo on Flatbush Avenue a few blocks from the Manhattan Bridge is going up fast, and is so tall now that it is poking above other buildings from a distance. This photo was taken a few days ago, so it's probably added a few floors since this shot was taken. Meantime, there is the Ismael Leyva tower, which had earlier been dubbed the Alien Spawn of the Flatiron. Brownstoner took a look at the status of it this week and found nothing doing except the previously issued demolition permits. Coney Island's Big Holes: Art or Not?